Even though I am away from home at present, the project continues! John and Jean have had a go at a 1 km square south of Bracadale which forms part of a tetrad with no previous records and achieved a creditable 121 records – pretty good for a limited area in mid-September. 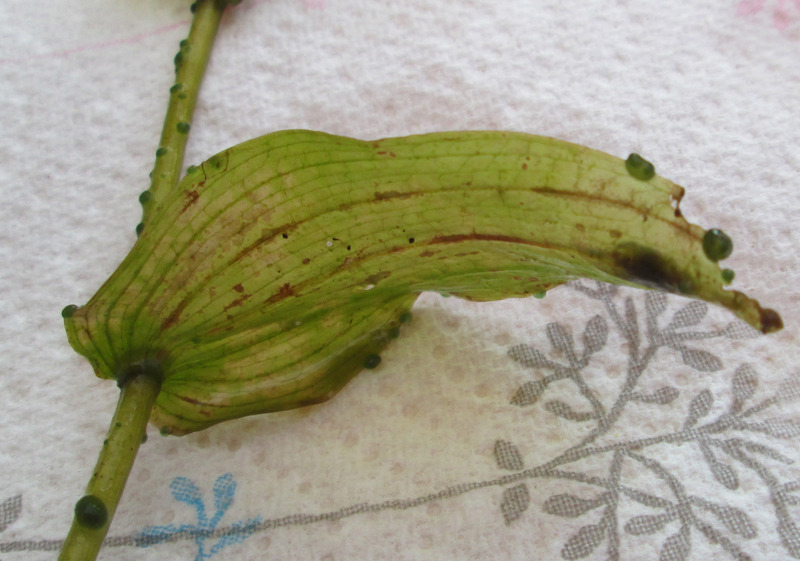 I have been having a look at malformed plantains and it turns out that this genus is prone to floral deviations from the norm, though I have not found reference to one quite the same as Steve’s. The 1868 book Vegetable Teratology by Maxwell T. Masters is available as a free e-book from Project Gutenberg and in this the author gives a classification of five types of malformation affecting the inflorescence in Plantago according to Schlechtendal in 1857. 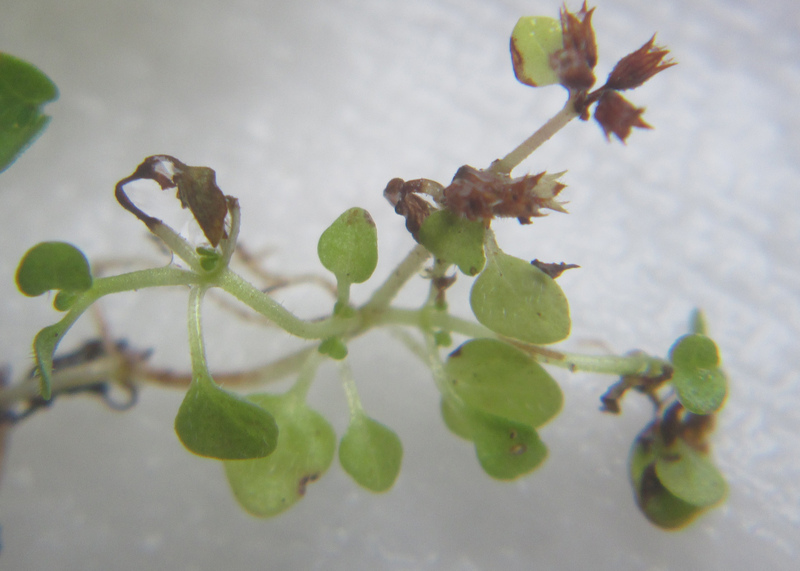 However, the only time P. maritima is mentioned it is the context of a form bearing additional spikes in the axils of the bracts. 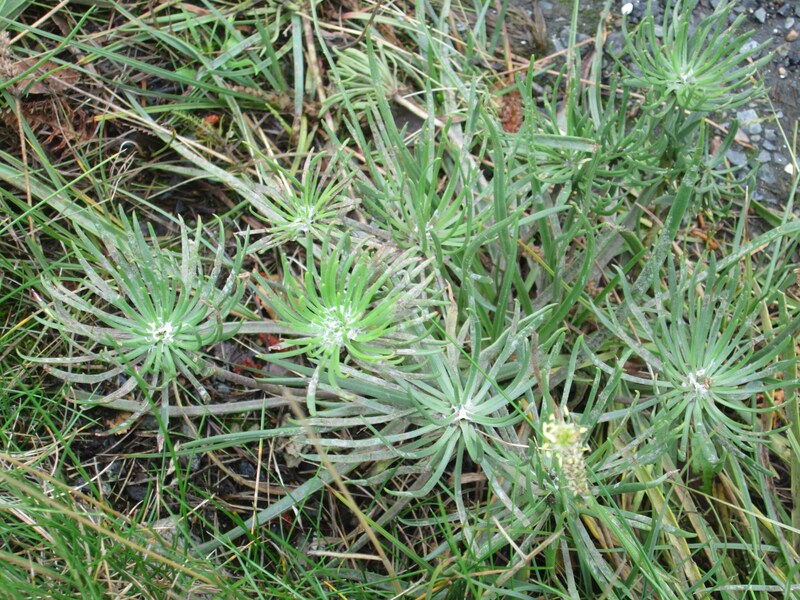 “Rose Plantain” is a form of P. major that is similar to our Skye plant in that it has many leafy bracts where one would expect an inflorescence. 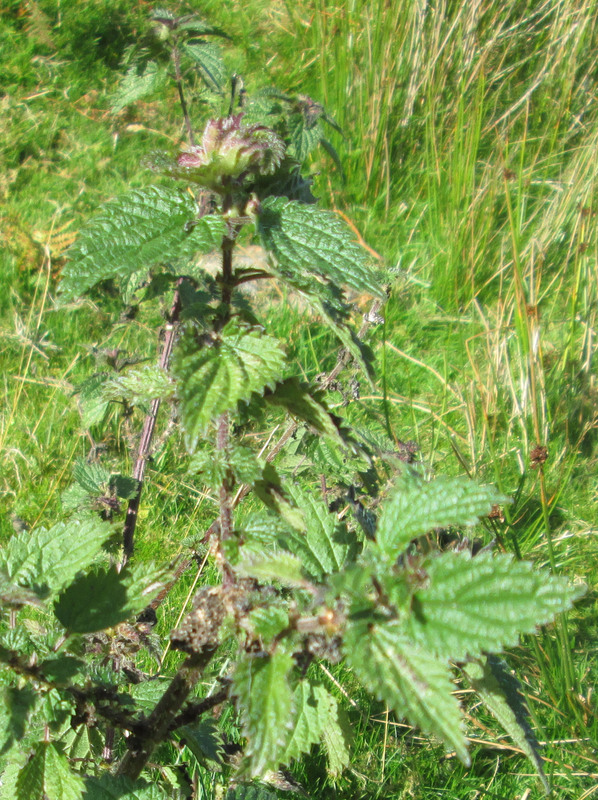 It looks quite different as the leaves of this species are so broad. It has been known in the UK since medieval times and is described in John Gerard’s Herball or General Historie of Plants, published in 1597. Elizabethan John Parkinson wrote Paradisi in Sole Paradisus Terrestris (1629): “The Rose Plantaine hath been long in England”. It obviously breeds true and one can buy seeds on the internet where there are also many images of this strange-looking plant e.g. here. Maybe Steve should cultivate his find and make a fortune? These are the first Scottish records since the 1940s, which were indeed the only Scottish records and were on the Outer Isles. I am still awaiting the final verdict from the referee. 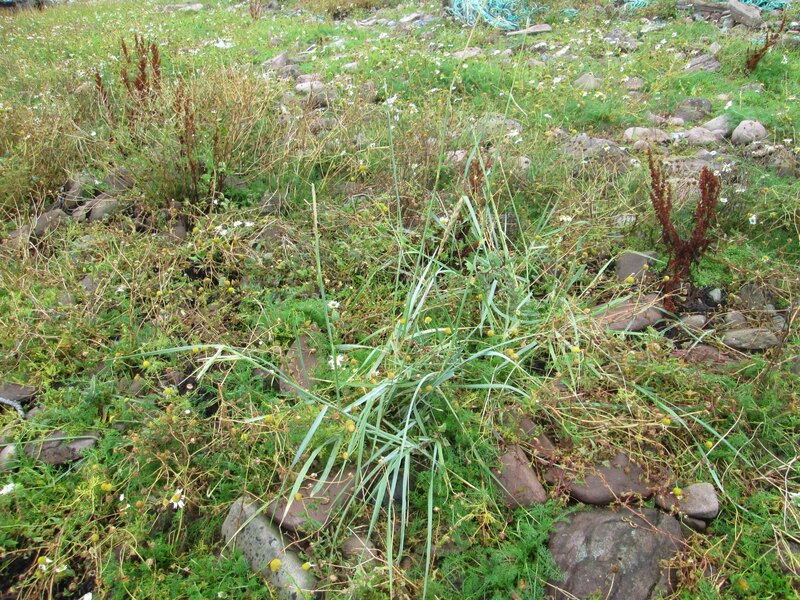 About 40 m away I noticed a small patch of Leymus arenarius (Lyme-grass), the second record in a few weeks of a plant not previously recorded on Skye itself (rather than Raasay) since 1988. 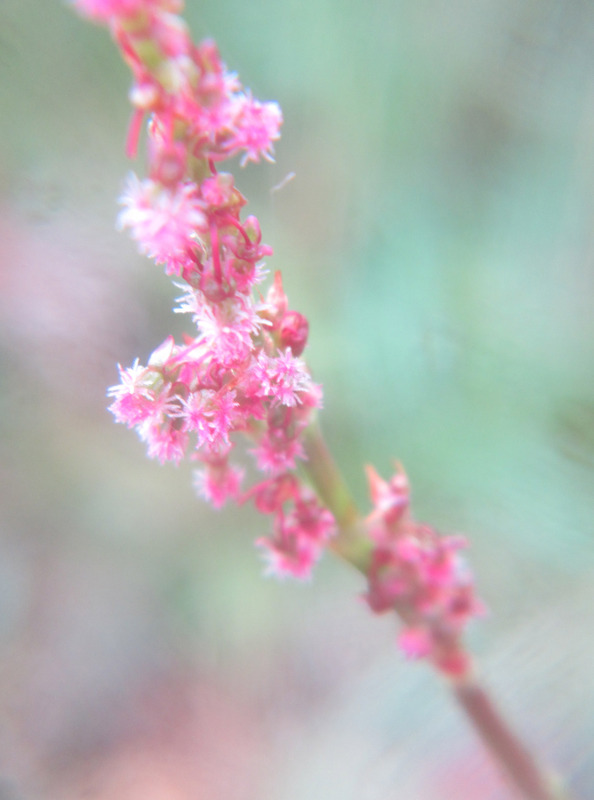 The inflorescences have been replaced by whorls of leaves. 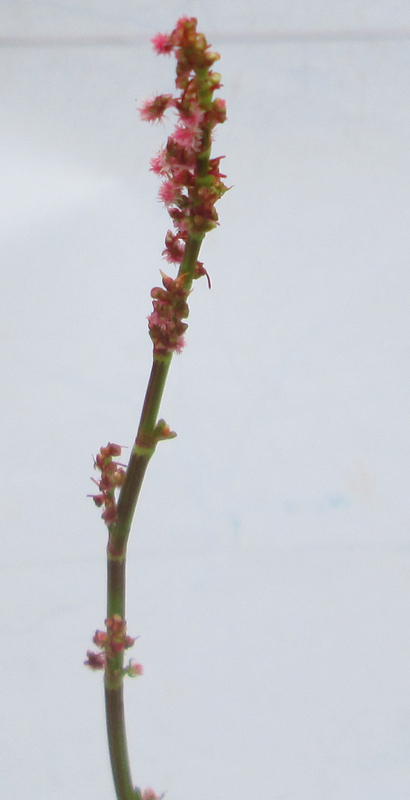 I haven’t had time to research this yet but many years ago I had a malformed Plantago lanceolata that I sent to someone in Dublin who had a special interest in such things. Must try to check back and see whether he is still active. 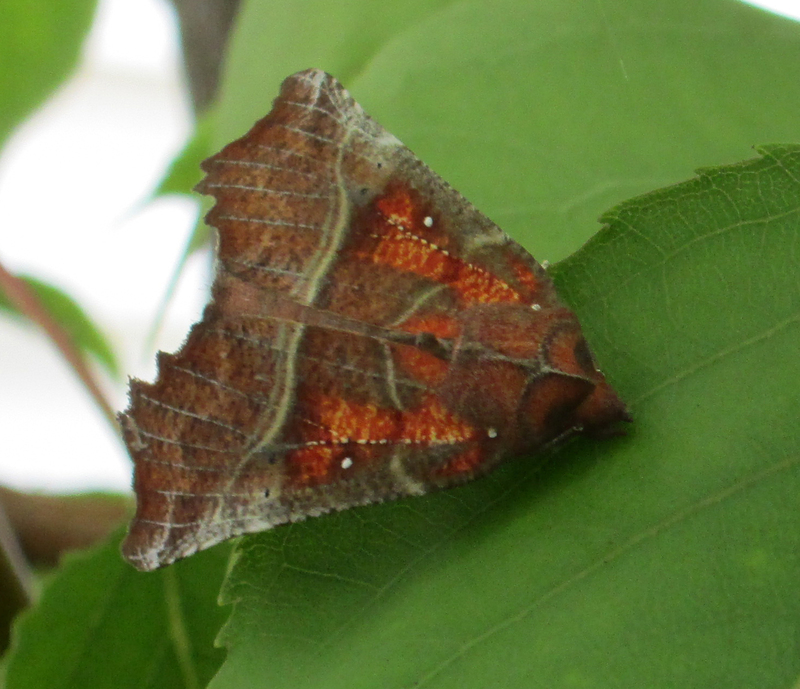 This moth visited our polytunnel today. It is a Herald and Brian tells me that as far as he knows it is only the second record of the Herald for Skye, Keith Sadler having had one at Portnalong on 7th June. 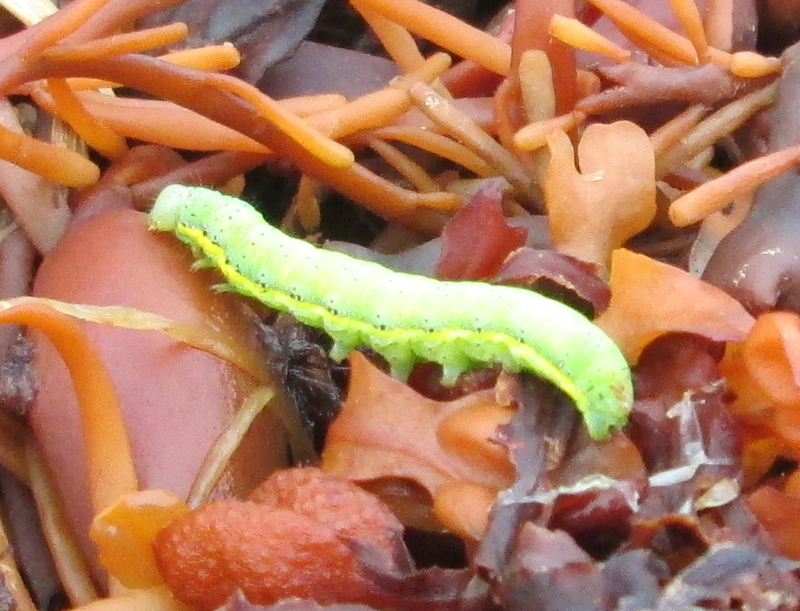 Chris Preston tells me they are probably colonial cyanophyta (Nostoc or similar) or (less likely) algae. It turns out that there was another, earlier sighting of an adder during the Skye Botany Group meeting. Those who saw it kept quiet about it. Coming back from the SBG walk Linda was”hissed at by a very fresh young Vipera berus! Slithered off into the seaweed at the top of the shore.” This looks like the first adder record for NG61 since before 2000. Returning to yesterday’s aquatics, the large Sparganium looks very close to Sparganium emersum and I am sending it to Kay Fuhrmann in Germany for further examination. It would be amusing if I have found it a few days after my saying in effect that I didn’t believe it to be here. Curiously, when the 1989 NCC Freshwater Lochs Survey visited Loch Dubhar-sgoth they recorded no Potamogetons at all. I feel this must have been a transcription error from the original data as some had been recorded there before their visit and there is no shortage now. The loch seems unlikely to have undergone significant change in the intervening years. It turns out that P. berchtoldii was a first for NG46 as indeed were Dactylorhiza incarnata (Early Marsh-orchid) which was still determinable to the species if not the subspecies in a Schoenus flush, Eriophorum latifolium (Broad-leaved Cottongrass) which was also in a Schoenus flush and Gnaphalium uliginosum (Marsh Cudweed) in its usual roadside/ruderal habitat. 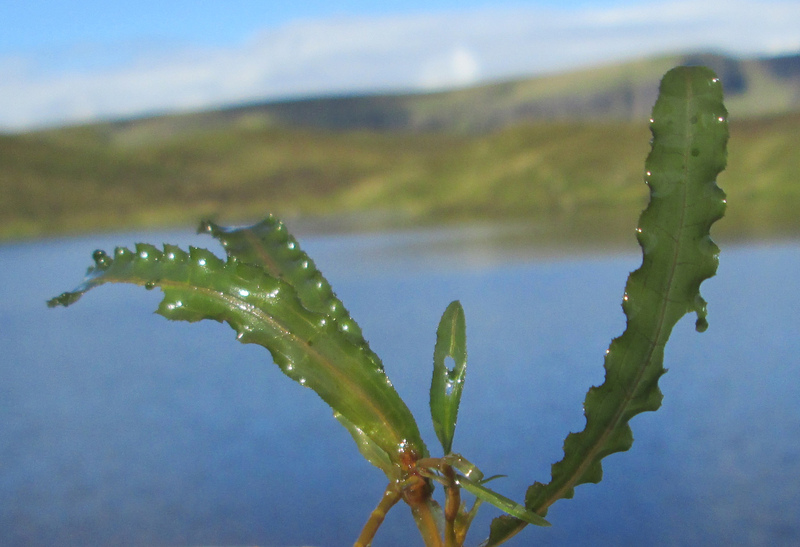 Re-find the 1983 record for Potamogeton crispus (Curled Pondweed) in Loch Dubhar-sgoth, the only localised record for this species in the vice-county. 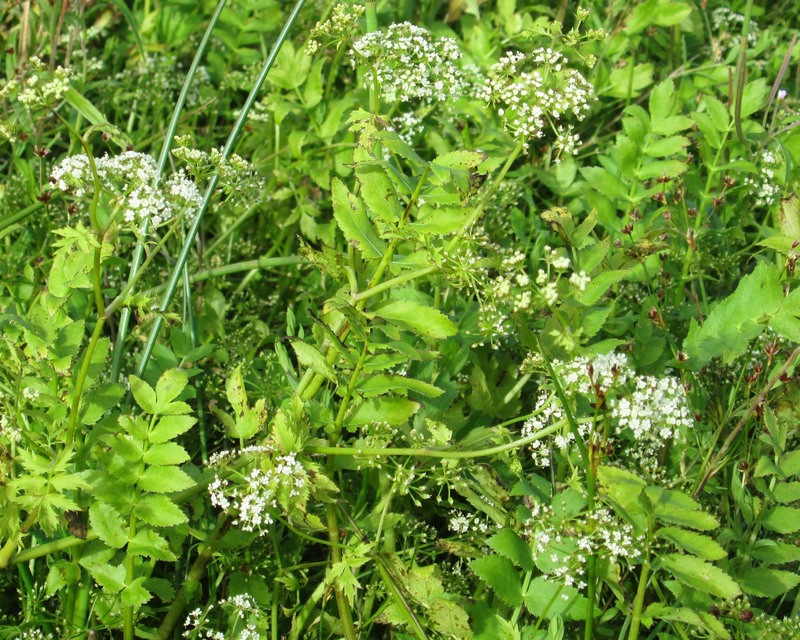 Fill in an apparently missing tetrad for Berula erecta (Lesser Water-parsnip) – known along the River Brogaig both upstream and downstream of NG46T. 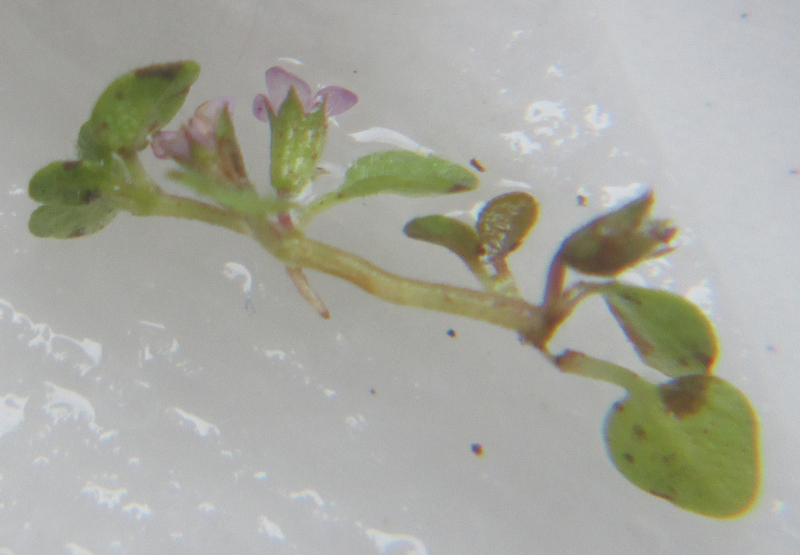 As well as P. crispus in 1983, Loch Dubhar-sgoth had P. gramineus (Various-leaved Pondweed) recorded in 1970. 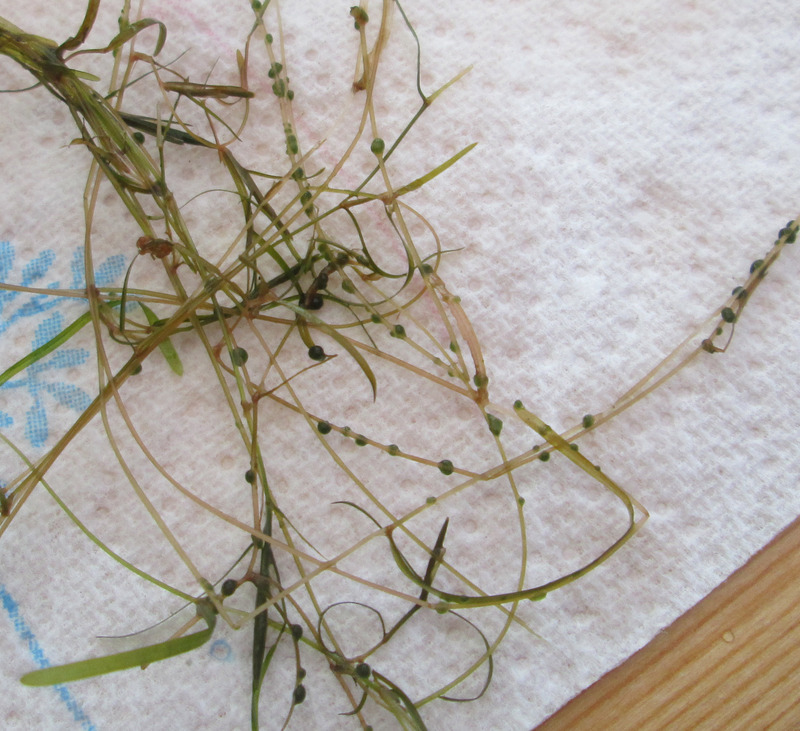 Today, as well as both of these (though I have yet to check a specimen of the latter to make sure it is not Potamogeton x nitens (P. gramineus x perfoliatus)), I found P. berchtoldii (Small Pondweed) and P. perfoliatus (Perfoliate Pondweed). Quite a pondweed zoo. Loch Corcasgil a little to the north had Potamogeton natans (Broad-leaved Pondweed) and P. polygonifolius (Bog Pondweed) only recorded in the past and that was how it looks today. 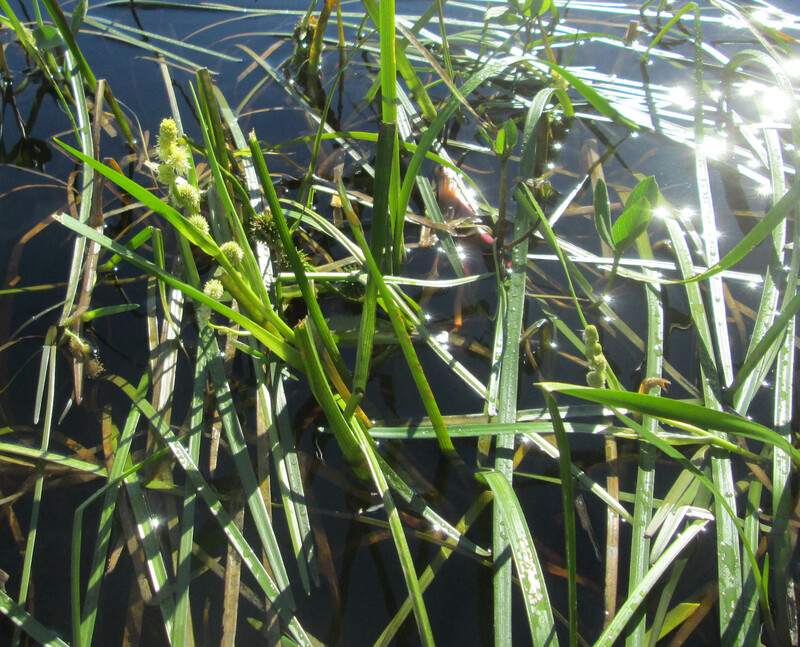 Loch Cleap had lots of standard Sparganium angustifolium (Floating Bur-reed) but also some with much broader leaves and inflorescence characters bordering on S. emersum (Unbranched Bur-reed) – see below! 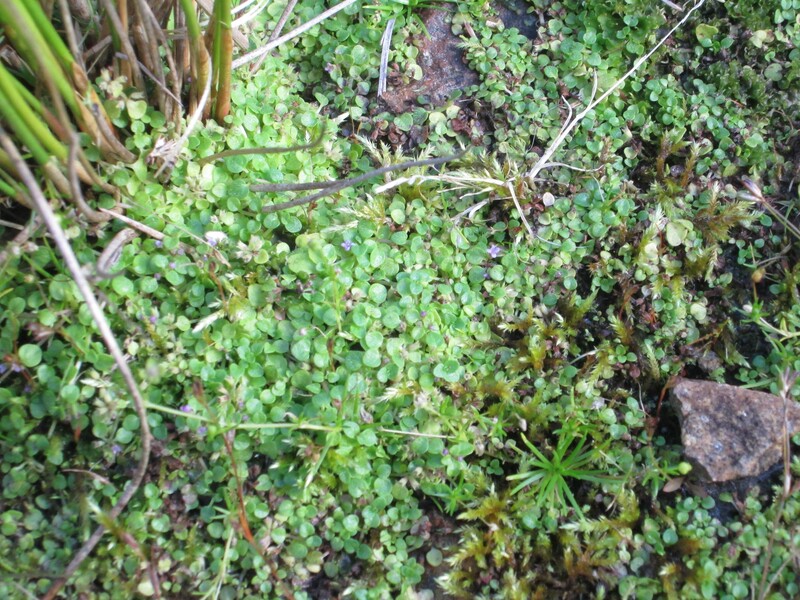 As well as the first vice-county record for Mentha requienii (Corsican Mint) , today’s excursion refreshed old records for the following that had not been recorded in NG54 on Raasay since before 2000: Ceratocapnos claviculata (Climbing Corydalis), Elymus caninus (Bearded Couch) and Potamogeton perfoliatus (Perfoliate Pondweed). 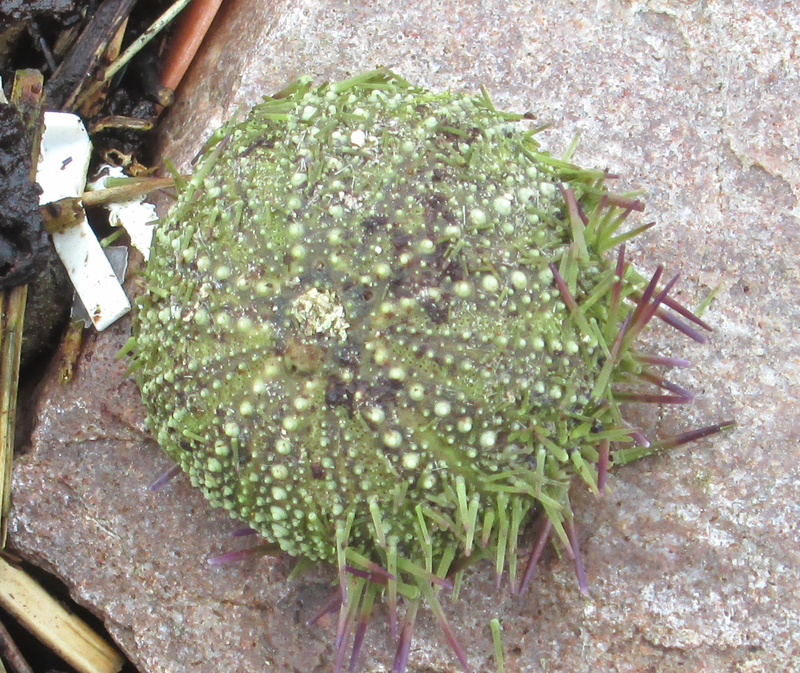 I also added 10 records at the 1 km square level, which is how Raasay has been recorded, of which Triglochin maritima (Sea Arrowgrass) was the most interesting, being only the seventh 1 km square where this has been recorded. and various other things to go to HBRG such as Heather Flies (Bibio pomonae). This is an introduction/garden escape but I suspect it is a very long way from Balachuirn, where this is growing, to the nearest garden with it in. It is also a considerable extension to its range, the farthest accepted record up the west coast is the Loch Glashan area of Argyllshire where Carl found it in 2009 and there is a slightly more northerly record from near Arbroath in 1984. Does anybody know what this is, please? 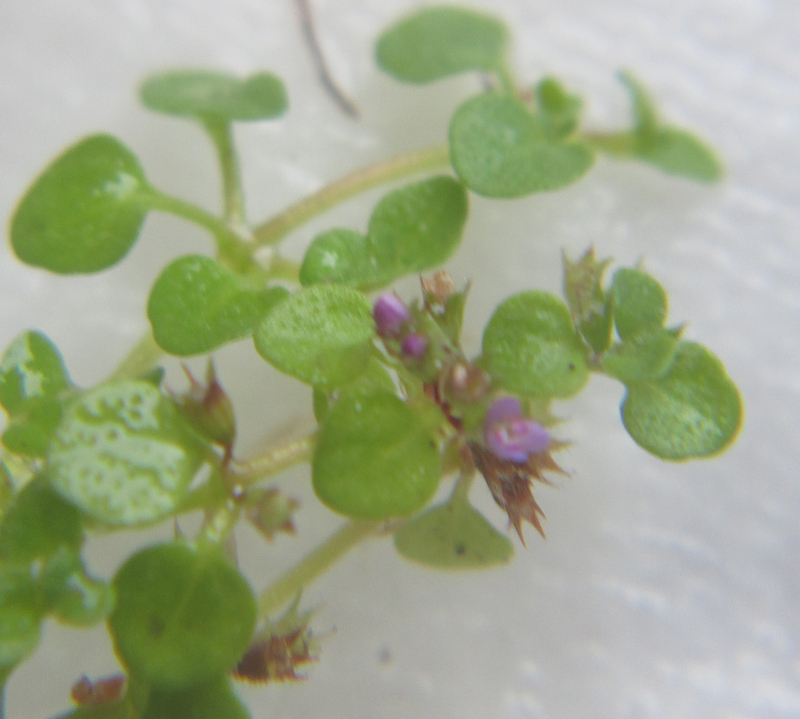 The leaves are up to 3 mm, the flowers about 1.5 mm across with 4 petals and, I think, 4 stamens. 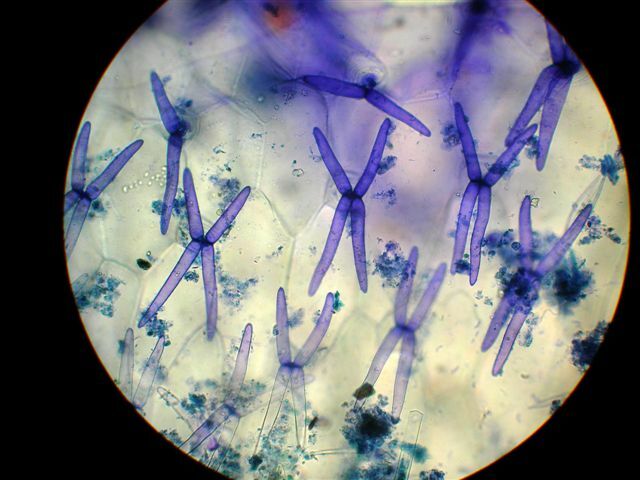 It is rooting at the nodes and growing on dry ground. 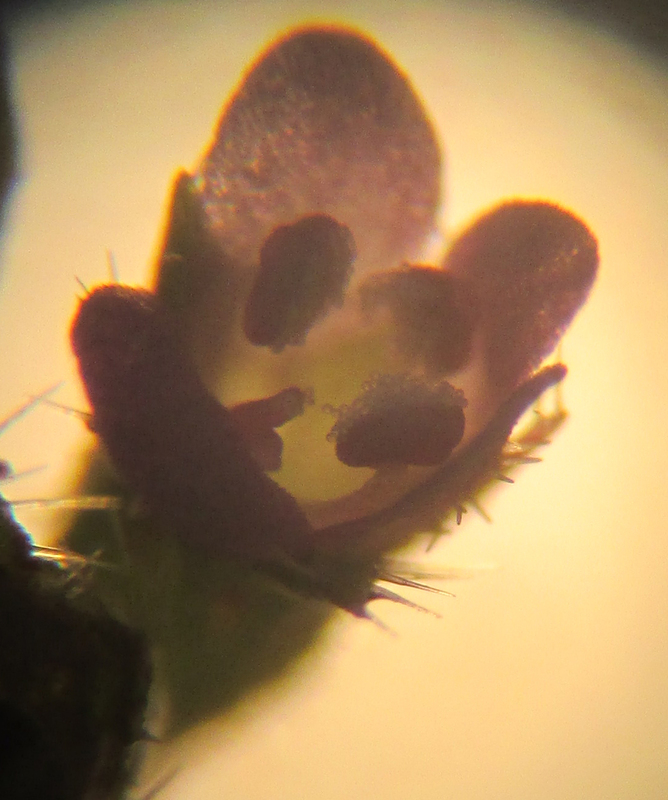 It has (relatively) long white hairs on the upper leaf surface and lots of hairs on the sepals. Thanks for any help you can give…. One thing is for sure, it is new to Raasay!